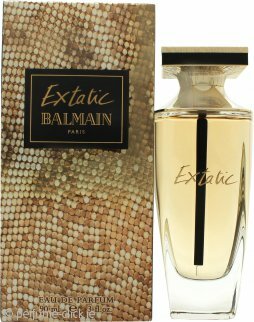 Extatic by Pierre Balmain is an oriental, floral fragrance for women. It contains rose, pear, osmanthus, orchid, iris, jasmine, amarys, sandalwood, cashmere and leather. Extatic was launched in 2014. This scent just completes you for a night out the scent is subtle and fresh and makes you feel so good.